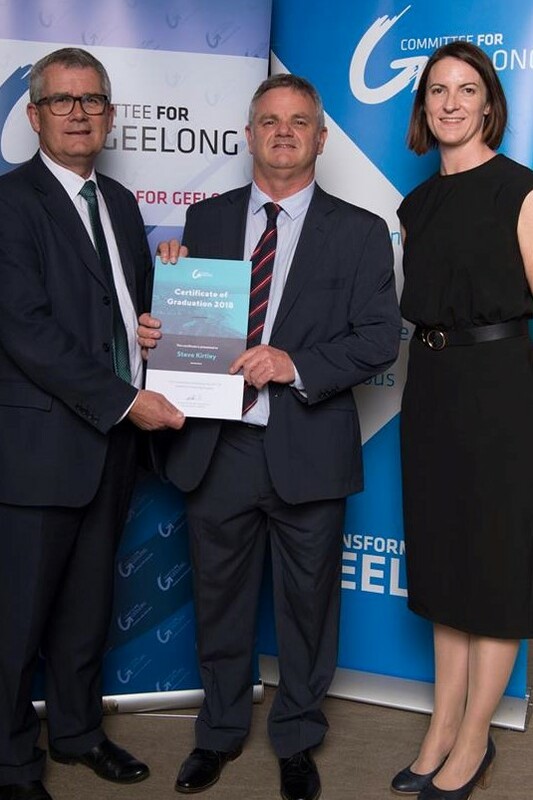 Davidsons has been a supporter of the Committee for Geelong’s ‘Leaders for Geelong Program’ for many years with several of Davidsons’ current leaders having completed the program. The Leaders for Geelong Program runs over 2 years and develops personal leadership capacity while providing learnings on Geelong region’s social, economic and environmental issues. Stephen Kirtley, Audit Director at Davidsons completed the program as part of the 2017/2018 intake. The 2017 and 2018 cohort of 28 included a variety of professionals and executives with small, medium and large organisations within the private and government sectors. The first year of the program included a series of 10 all-day seminars on themes such as Infrastructure, Law and Order, Education and Training, Energy and Environment. These seminars involved on-site visits to local organisations within those themes and presentations by key leaders in the area. The purpose of these seminars is to expose the participants to key organisations and people in the Geelong region which would not be possible within their normal lives or employment. It also provides an insight into both the amazing level of activity in our city and the impact the leaders within those organisations are having. The program also includes a series of events where the participants are involved in leadership training with renowned leaders and subject matter experts. The first year ended with a 2 day trip to Canberra to view the Federal Government in action and an opportunity to speak with several Federal MPs including our local members, as well as a meeting with the Governor General at Yarralumla. The second year involved working on a community based project of significance to the Geelong region, together with further leadership training sessions. In 2018, Stephen Kirtley’s project group completed a project on STEAM (Science Technology Engineering Arts and Mathematics) to promote interest in STEAM subjects for students. This project was proposed and championed by Regional Development Victoria – Barwon South West Region. Leaders for Geelong has opened Stephen’s eyes to what is going on in various organisations and sectors in Geelong that he wouldn’t otherwise have access to. It has shown him a different perspective on areas of community needs and opportunities and introduced him to some wonderful people in our community. Stephen is looking forward to using his new knowledge and networks to make a positive contribution to the Geelong region.